A couple of weeks ago, whilst lounging low in my seat on an early morning train into work, I read with interest an interview in the Metro that featured Plebs star and comedian Tom Rosenthal. Keeping your head down on the 5:41 into London Fenchurch Street is aways a good idea because a lot of my follow commuters use the journey to extend their somnolent bliss just that little bit longer. As such, many (mainly male) passengers have a tendency to flatulate loudly during their slumber and quite frankly, the carriage usually stinks to high heaven. On a clear day, you can sometimes see a yellow cloud hovering around the level of the baggage shelves, amid a chorus of French horns. Anyway, during the Q&A Tom made mention of his experiences in Bulgaria and the fact that the Bulgarians have really nailed cucumbers, which got me thinking about cucumbers in general. As a matter of fact, the article made me sit straight back up to pay attention. At which point, I burnt the hairs in my nostrils. Normally I don't really give much consideration towards these cumbersome green batons. 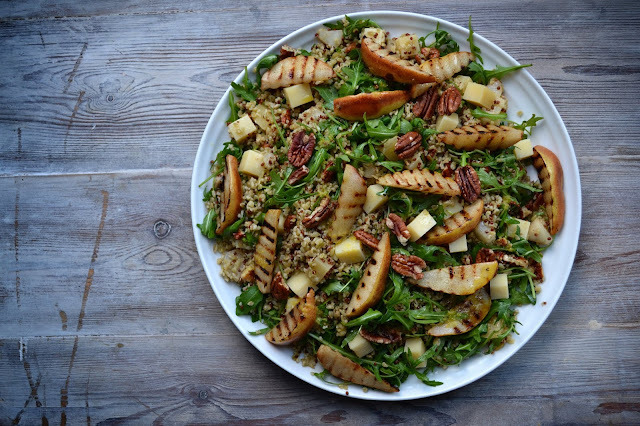 In salads and as accompaniments, they work fine. Especially with Peking duck and plum sauce in pancakes, serving as crunchy counterpoint to the rich fatty meat and fruity tangy relish. Pile it all up in front of me and I could probably get through a whole bird by myself. Spooning, spreading, picking, delicately rolling, scoffing and then licking fingers thoroughly clean before moving onto the next one. "How was your duck sir?" "It was gorgeous, thank you." "And the cucumber?" "Erm......."
And yes, OK, I do like a pickled cucumber. Or a gherkin rather. In burgers, with a hunk of cheese, on some juicy pulled pork or plonked slap bang in the middle of crumpled bag of fish and chips. Asking for a 'wally' is always a true test of a decent chippie. Sadly, a lot of the glances that get shot my way from younger eyes over the counter suggest that I am the wally for mentioning it these days. But do I have any other strong feelings for cucumbers? Well not really. However, like I said, Tom's appraisal did pique my interest with the suggestion that cucumbers can actually taste good, particularly since I have been growing them at home this year. Or at least one of them. 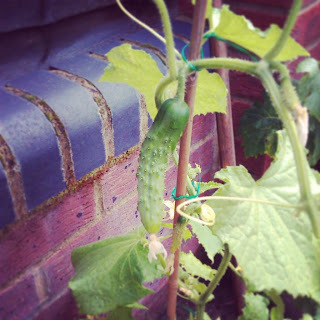 And I have been watching this one singular cucumber with curiosity and affection for some time now. Leaving cheap knob gags to one side for a minute, I must admit that it has been fascinating watching this fruit swell and engorge over the summer months. The geek in me should have got the tape measure out to record daily progress but I was worried about what my neighbours might think. They probably think I am strange enough as it is. So I simply resolved to heap as much love on it as possible with frequent watering, careful positioning in the sun and regular chats. The day for plucking the prized snozzcumber from its stem came some time last week. At a slight loss at what to do with it, I went on Twitter as usual for ideas and a barrage came back. "Smash it!" "Gin it!" "Sorbet it!" were just some of the more unusual recommendations. "Shove it up your backside!" was one of the more childish, immature ones.....Luc. In the end, I went out on a limb (because you know, I AM experimental and everything) and made a salad with cucumber, goats cheese, mint and lemon zest. It looked very pretty but I am afraid the heady citrus of the lemon bludgeoned out any flavour that the cucumber may or not have had. 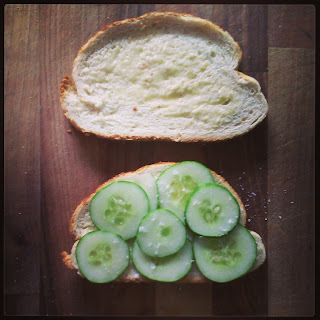 So with the few remaining slices I had left, I decided to make a cucumber sandwich, as proposed by A Rather Unusual Chinaman and self-proclaimed 'sanger-wanger' Helen, of Food Stories. You might blech and recoil at the thought of flinging watery discs betwixt two slices of bread, recalling misshapen lumps wrapped in clingfilm for school lunches. But I'd say that tomatoes were always to blame for that and should be held accountable for the stains at the bottom of your rucksack. Whereas cucumbers have always married up well with baked white dough and I had sort of forgotten all about 'cuke' sandwiches. 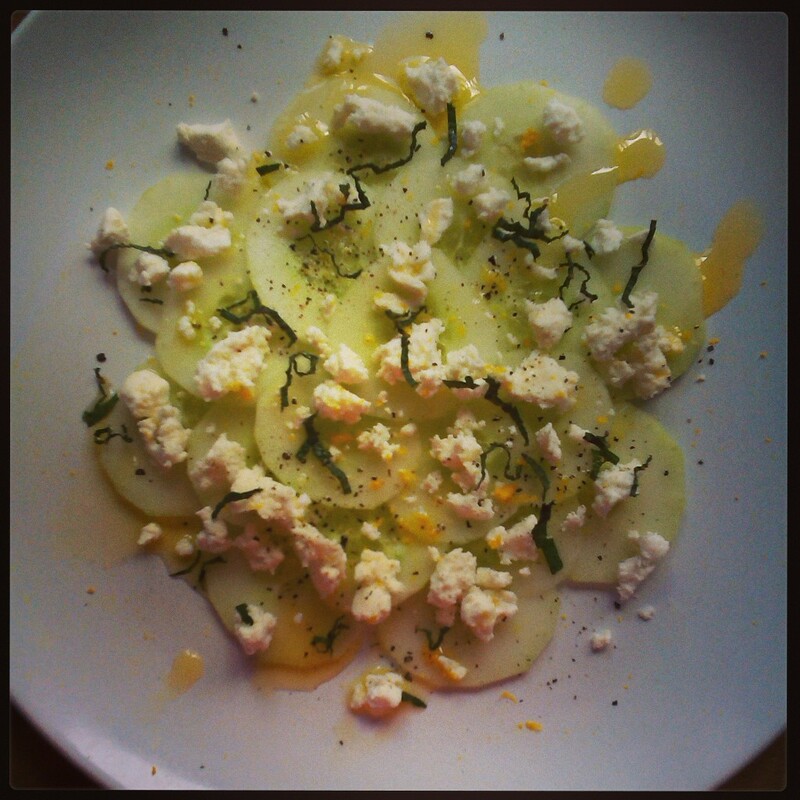 It's a simple combination of bread, butter, cucumber, salt and whallop, off you go really. The texture of crisp cucumber against soft bread really does feel lovely to eat, perhaps even better than crisps (although not quite). It's no wonder that they are an institution in this country for afternoon tea and er, for afternoon tea! 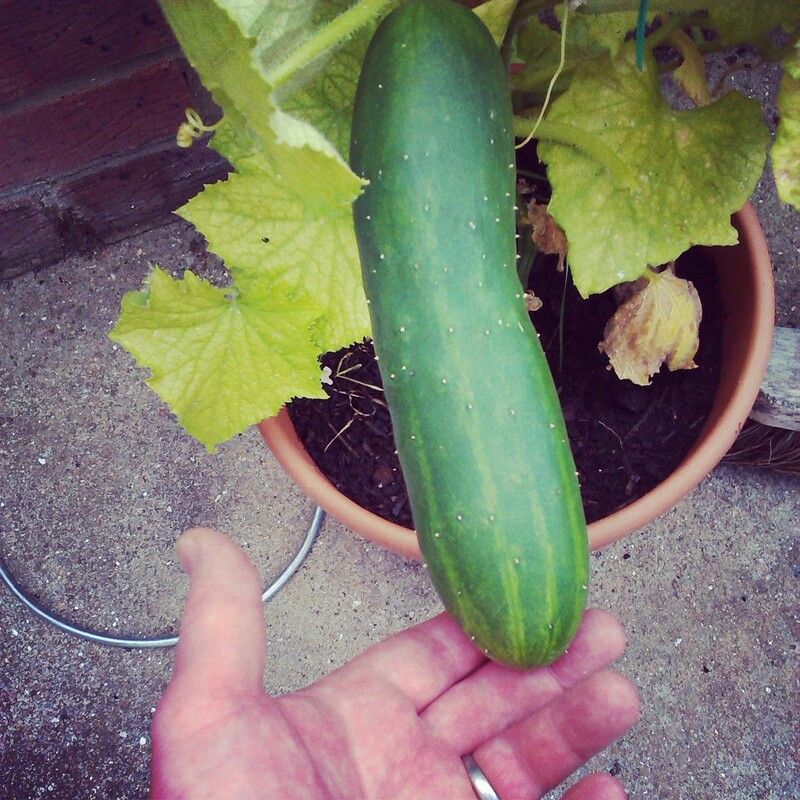 What of the flavour of my homegrown cucumber though? Well yes, it was fresh, clean and grassy. But did it pack the sort of punch that makes a man want to stand up and endure a sulphurous fug, knowing that at the end of his journey he could clamber into a supermarket and buy a dozen beautiful, delicious cucumbers that would soon take the pain away? No, not really. I think I might be missing a trick though. I think I might need to go to Bulgaria. Sanger wanger! Like that a lot. The way to do a cuke sandwich is to salt them first, to get them nice and crisp. De-seed or not is up to you. The bread needs to be nice and square you want the slices very evenly cut. A good buttering and then afterwards cut the crusts off - it's all about the crisp cuke and soft bread and as it's so simple the crusts just don't work. Cut em into fingers or triangles! Helen - Oh mighty sanger wanger, thank thee for your guidance but do I really have to cut the crusts off? How will my hair ever get curly if I don't eat my crusts? I told you to just chop it up with tomatoes and feta, nothing fancy schmancy like lemon or sumac or other flavours. 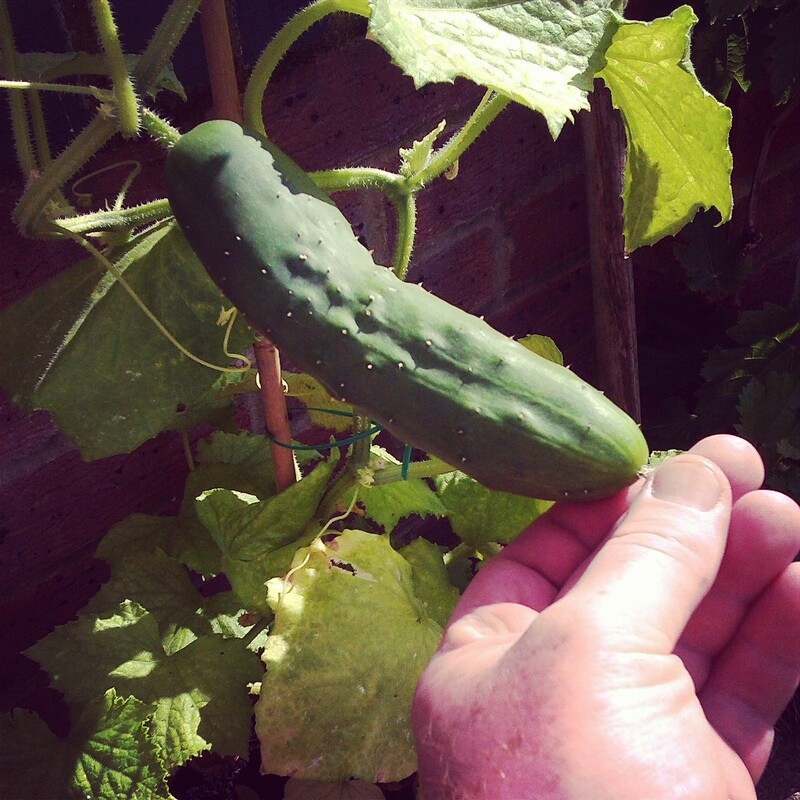 What a terrible waste of a fab cuke! and a cuke sarnie is all about the bread, and very very crisp cuke. And mayo. See I never had cucumber sandwhiches at school, but I distinctly remember the pokey marmite ones we used to get, it was unbearably strong, almost a centimetre thick. I still love marmite but the horror of those sandwhiches still haunt me.